1. Asangani IA, Dommeti VL, Wang X et al. 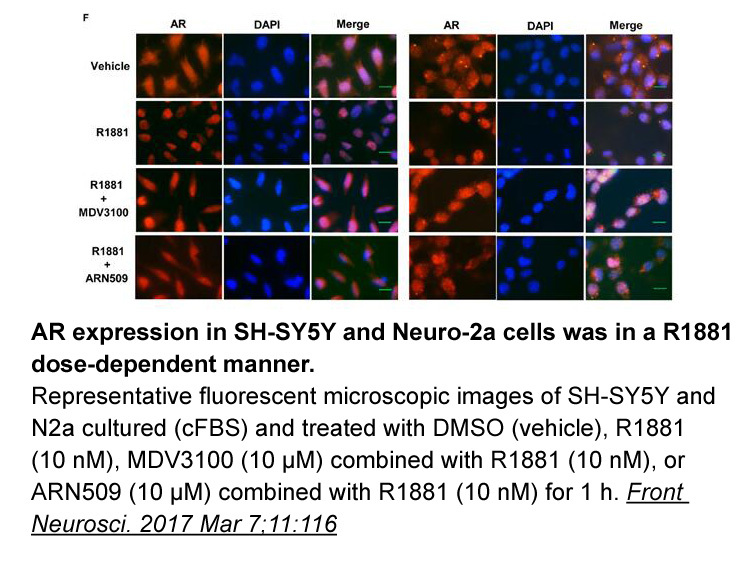 Therapeutic targeting of BET bromodomain proteins in castration-resistant prostate cancer. Nature. 2014 Jun 12;510(7504):278-82. 2. Scher HI, Fizazi K, Saad F et al. Increased survival with enzalutamide in prostate cancer after chemotherapy. N Engl J Med. 2012 Sep 27;367(13):1187-97. 1. Evidence for the efficacy of enzalutamide in postchemotherapy metastatic castrate-resistant prostate cancer. Ther Adv Urol. 2013 Aug;5(4):201-10. doi: 10.1177/1756287213490054. 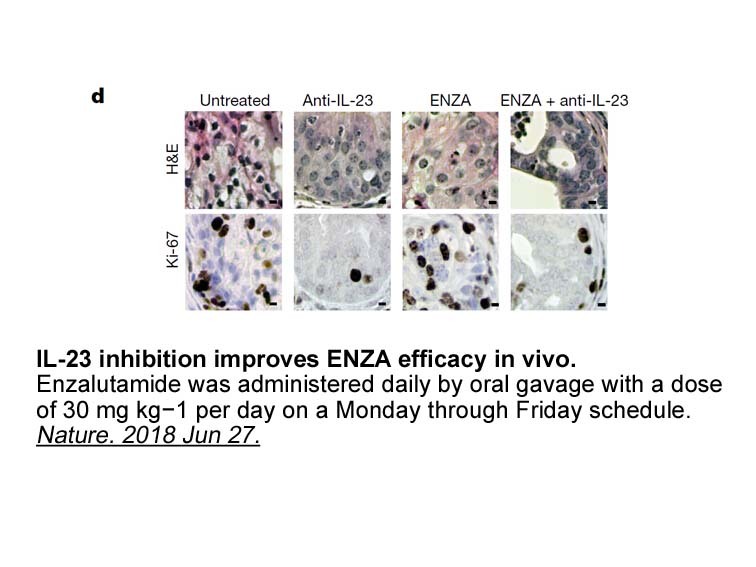 As an approved agent for the treatment of mCRPC, enzalutamide, an oral inhibitor of androgen receptor, does not require administration with steroids and was well tolerated in randomized phase III AFFIRM study. 2. Cross-resistance between taxanes and new hormonal agents abiraterone and enzalutamide may affect drug sequence choices in metastatic castration-resistant prostate cancer. Eur J Cancer. 2013 Dec;49(18):3821-30. doi: 10.1016/j.ejca.2013.09.026. Epub 2013 Oct 24. 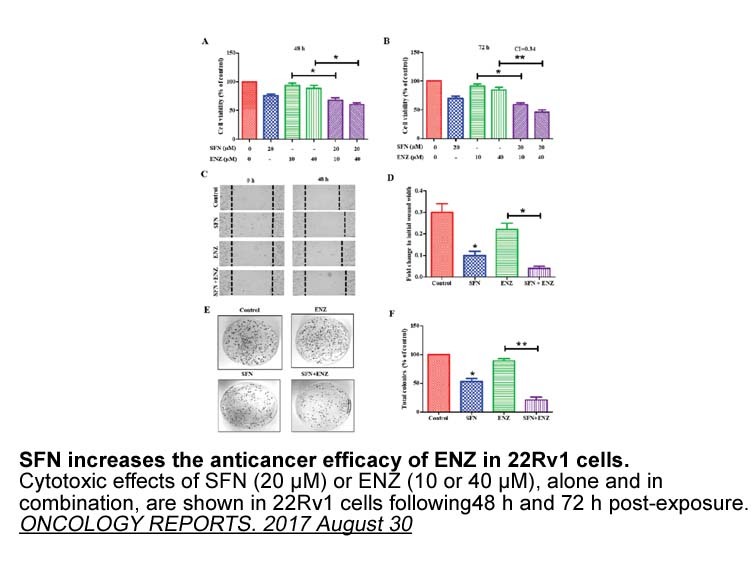 The cross-resistance between taxanes (docetaxel and cabazitaxel) and new hormonal agents (abiraterone and enzalutamide) and their effects on AR nuclear translocation have been investigated. 3. 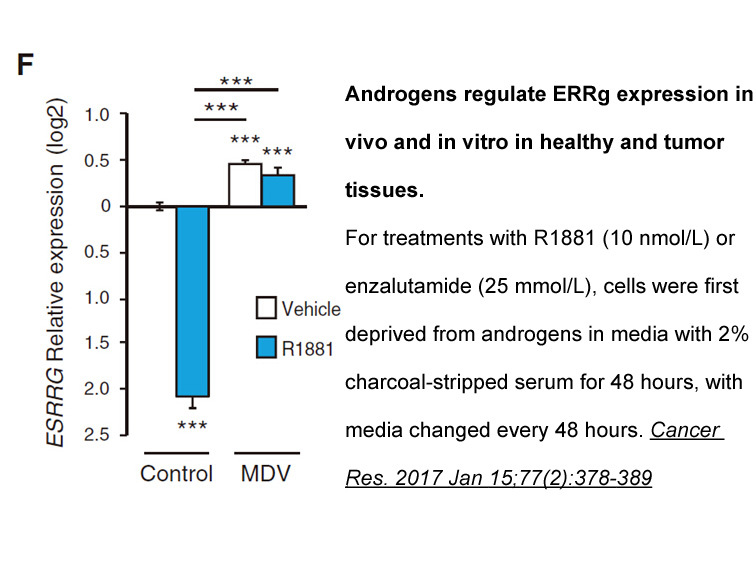 Enzalutamide, an androgen receptor signaling inhibitor, induces tumor regression in a mouse model of castration-resistant prostate cancer. Prostate. 2013 Sep;73(12):1291-305. doi: 10.1002/pros.22674. Epub 2013 Jun 13. 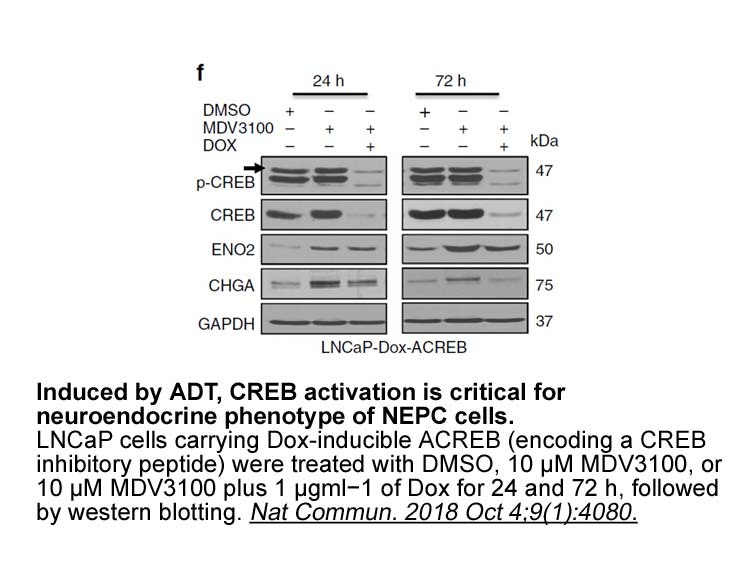 Enzlutamide is an inhibitor of AR signaling that inhibits multiple steps of AR signaling, blocks the growth of CRPC cells and increases survival in patients with metastatic CRPC. 4. 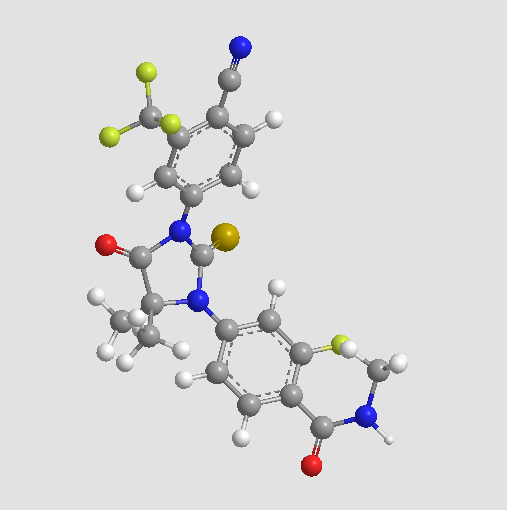 Enzalutamide for the treatment of castration-resistant prostate cancer. Drugs Today (Barc). 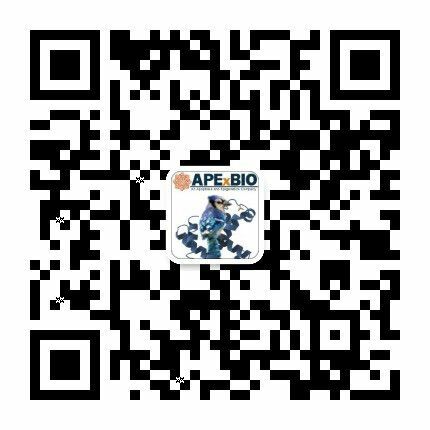 2013 Jan;49(1):7-13. doi: 10.1358/dot.2013.49.1.1910724. 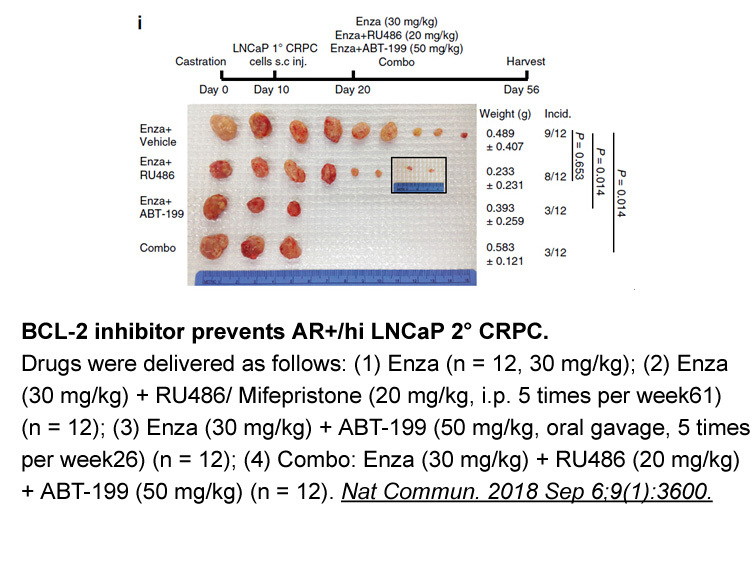 In preclinical studies, enzalutamide blocks androgen signaling and the bind of AR to DNA leading to apoptosis and slowed tumor growth; while, in clinical trials, it exhibited significant antitumor activity with an optimal safety profile and significantly improved survival in metastatic CRPC male patients with prior chemotherapy. 5. Clinical activity of abiraterone acetate in patients with metastatic castration-resistant prostate cancer progressing after enzalutamide. Ann Oncol. 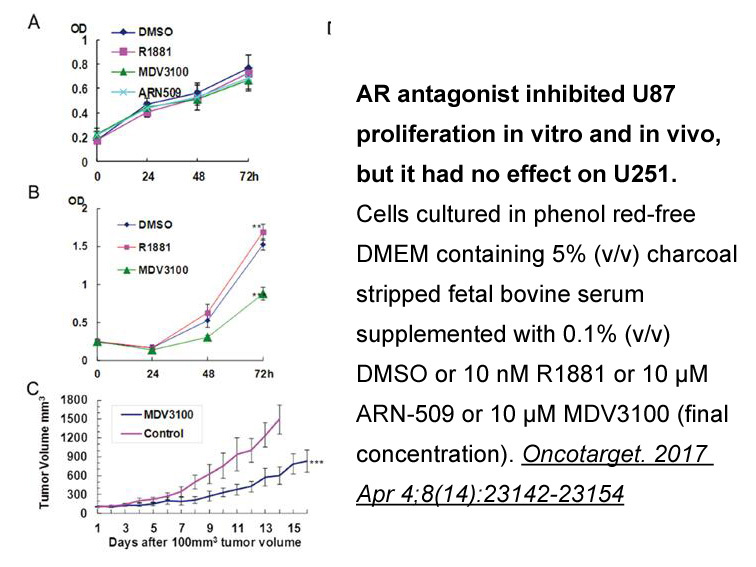 2013 Jul;24(7):1802-7. doi: 10.1093/annonc/mdt138. Epub 2013 Apr 12. Although Abiraterone acetate and enzalutamide improve outcomes in metastatic mCRPC patients individually, optimal sequencing and occurrence of cross-resistance in combination therapy are unknown. Manoj P. Menon, Celestia S. Higano. 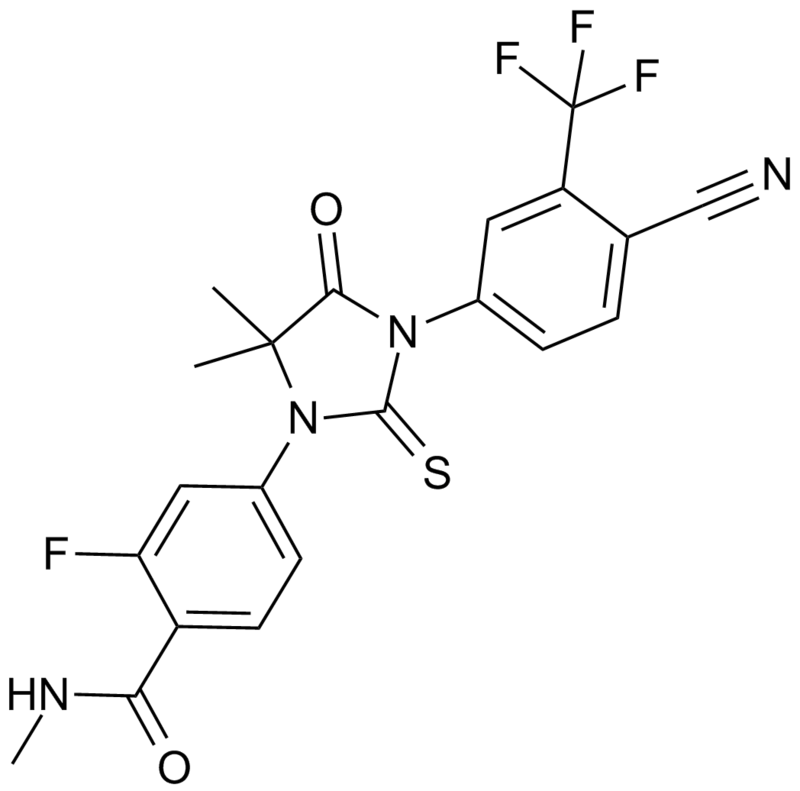 Enzalutamide, a Second Generation Androgen Receptor Antagonist: Development and Clinical Applications in Prostate Cancer. Current Oncology Reports. 2013; 15(2): 69 – 75. Joelle El-Amm, Nihar Patel, Ashley Freeman, Jeanny B. Aragon-Ching. Metastatic Castration-Resistant Prostate Cancer: Critical Review of Enzalutamide. Clinical Medicine Insights: Oncology. 2013; 7: 235 – 245.